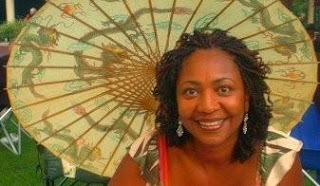 In Gage Park, Lynne McDaniel opens An Orange Moon, her fabulous den of vintage finds, every Friday and Saturday from 11 AM to 3 PM. 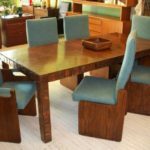 Inventory includes Danish-modern credenzas, 1960s dining sets, midcentury art pottery, and sleek retro sofas, all at shockingly affordable prices. McDaniel might even throw in a glass of something cool and refreshing while you browse. Come raise a glass and share a toast with An Orange Moon! Complimentary Corona’s & Cazadores Tequila shots all day long!! Musical stylings by World music legend T-MAC!! Noshes sponsored by Whole Foods. The Greenspace in back is now open! Meet other “Orange Kool-aid Drinkers,” & share your passion for great design!! As a special thank you, attendees’s will be discounted like a Rockefeller! Come bask in the glow of An Orange Moon!